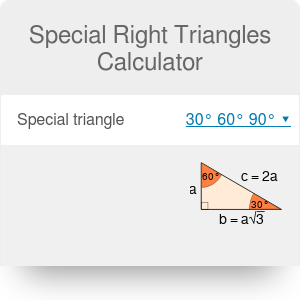 This special right triangles calculator will help you to solve the chosen triangle in a blink of an eye. 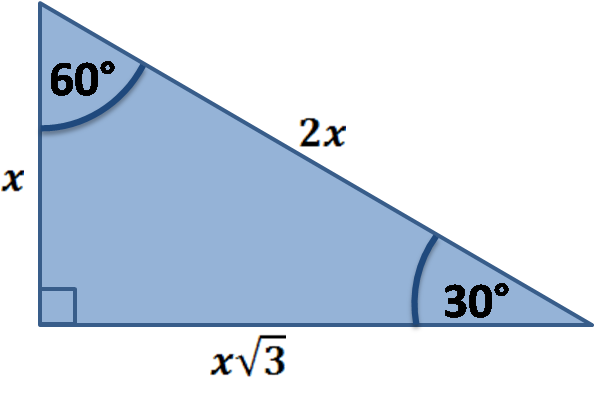 Select the triangle you need and type the given values - the remaining parameters will be calculated automatically. 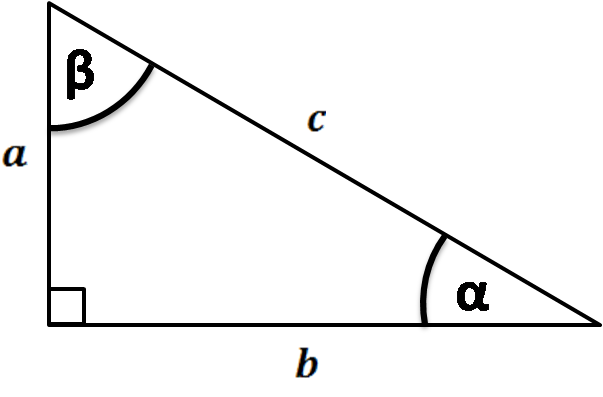 Special right triangles are right triangles for which simple formulas exist. That allows quick calculations, so you don't need to use the Pythagorean theorem or some advanced method. 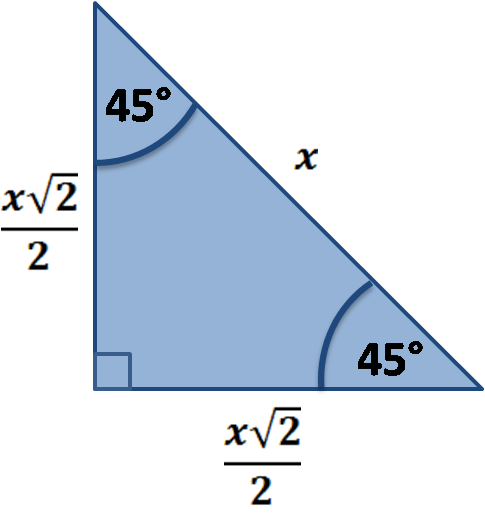 Scroll down to read more about special right triangles formulas and rules. 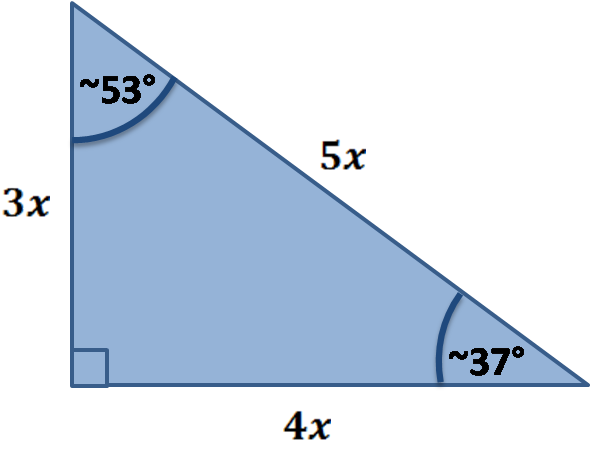 Special right triangle 30° 60° 90° is one of the most popular right triangles. Its properties are so special because it's half of the equilateral triangle. 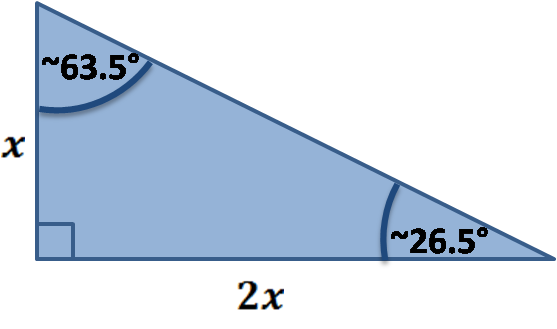 If you want to read more about that special shape, check our calculator dedicated to the 30° 60° 90° triangle. Curious about this triangle's properties? 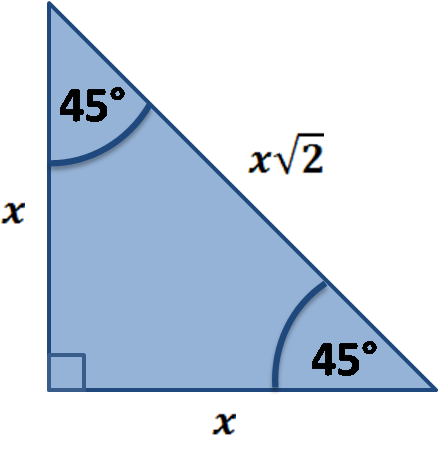 Have a look at our tool about the 45° 45° 90° triangle. right triangle, the sides of which are in a geometric progression (Kepler triangle). It's formed by three squares sides. Their areas are in geometric progression, according to the golden ratio. There are many different rules and choices by which we can choose the triangle and call it special. In our special right triangles calculator, we implemented five chosen triangles: two angle-based and three side-based. Special Right Triangles Calculator can be embedded on your website to enrich the content you wrote and make it easier for your visitors to understand your message.